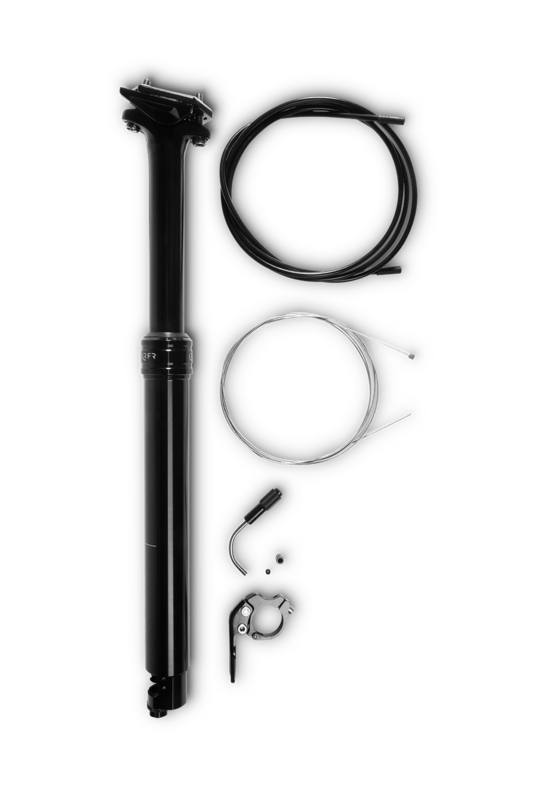 The inifinitely adjustable telescopic seat post PRO 'Inside' is especially suitable for frames with inside attachment. All CUBE Stealth Ready frames are compatible. The adjustment range of 125 mm can be operated with the remote control at the cockpit. Both hands stay on the bar and offer maximum driving safety thanks to the remote control. Maximum recommended weight is 110 kg.